Management FAQ - McCreary Realty Management, Inc.
Why should I hire a management firm that has earned the AMO® designation? McCreary Realty Management is an ACCREDITED MANAGEMENT ORGANIZATION®, as designated by the INSTITUTE OF REAL ESTATE MANAGEMENT (IREM®). McCreary Realty Management is only one of a handful of Single-Family leasing and management firms in the Southeastern United States to have earned this prestigious designation. What does the AMO designation mean to our owners and investors? Fewer than 500 out of more than 10,000 real estate management companies have met the strict requirements for this designation. Not only does achieving the AMO® designation demonstrate our commitment to managing your property professionally, but it also shows that we're willing to go that extra step to assure you that your investment will receive the best management possible. Our AMO® designation means that we have demonstrated that we are proven problem solvers. We know how to keep residents satisfied, how to reduce turnover, and how to keep costs under control. Because of our knowledge of the local market, we can recommend innovative resident retention programs that will keep your residents renewing their leases year after year. IREM has been the source for education, resources, information, and membership for real estate management professionals since 1933. An affiliate of the National Association of Realtors®, IREM is the only professional real estate management association serving both the residential and commercial real estate sectors. Two Property Managers in our firm maintain the ACCREDITED RESIDENTIAL MANAGER®, ARM®, the most recognized designation in residential property management. What makes McCreary Realty Management different from the other companies? McCreary Realty Management is a local, family owned business that has been operating in Cobb & NW Metro Atlanta for decades. We were born here, raised here and chose to stay here to raise our children and run our business here. With this lifetime of knowledge of the area, the professionals at McCreary know the area and the market better than any others. Property Owners have known and trusted McCreary Realty Management with their investment properties and depend on them to keep them running smoothly by maximizing income, minimizing expenses and maintaining the properties in good condition. McCreary’s Property Management Staff are also members of the NATIONAL ASSOCIATION OF RESIDENTIAL PROPERTY MANAGERS (NARPM®), an Association of Single-Family Property Managers and Companies with over 5,000 members. Three hold one or more of their professional designations, RESIDENTIAL MANAGEMENT PROFESSIONAL® (RMP®) AND MASTER PROPERTY MANAGER® (MPM®). How do we get started with McCreary? Most Owners contact us by way of e-mail first. Our initial response to you will include several documents, one of which lists our fees. Many of our competitors spread their fees across several pages of their agreement, making it difficult to understand what you will actually be paying them. Our agreement has all fees outlined in one paragraph. Next, you will need to speak with one of our agents to discuss your property. We can ascertain many things about a property and location remotely while we speak with you thanks to the internet to look up public data, maps, and satellite photos. During that call, we will set an appointment for one of our staff to inspect your property before we can sign you on. We do this for several reasons. The primary reason is to verify condition and to be able to address any habitability or marketing condition issues. State law requires that a written agreement must be signed and in place prior to our taking over leasing and management of your property. So the next step will be completing and have all owners of record (on the warranty deed) sign the Exclusive Leasing & Management Agreement. Getting your property listed can happen as soon as the same day we visit the property. We will take the photos; get it listed on the internet, and have it active on the market as soon as practically possible. For our owners that are out of state, we can handle all of this without your making a special trip. As much as we like to put a face with a name, many of our owners have dealt with us long distance exclusively. As long as we have access to the property, we can take it all from there. What do you require to begin managing my property? We require a capital contribution of $500.00 to establish your account with us. These funds will be used for approved expenses such as the final make ready process including rekeying the locks, a final interior clean and final yard maintenance, as well as utilities while vacant and any other authorized make ready expense. Since we are not allowed by state law to co-mingle owners’ funds, we must have this small funding advance in order to remain in compliance. Additionally, beginning in the first month, you will receive a complete written operating statement that accounts for all funds you have left with us, just as you will receive monthly once the house is leased. In keeping with the times, we will also require that you verify with us that all mortgages, property taxes, and homeowners association fees on your property are current and paid. What do I need to do to prepare my property for lease? One of the first rules of residential property management is that you never show a prospective tenant the property until it is rent ready. Doing so invites all sort of issues with residents wanting you to make decorating choices to fit their desires and, more importantly, discourages many potential residents who just can’t envision what the property will be like when it is ready for occupancy. Leasing a house is not at all like selling one. While marketing for lease can take 2-8 weeks or more on average, when it leases, it happens fast. Sales can take 30-60 days or more to close once an agreement is in place. It usually only takes us 24-48 hours to qualify a resident. Tenants typically don’t begin their search in earnest until 2-3 weeks in advance of the date they want to move in. Additionally, most potential residents won’t finally choose a property and put down a deposit until 3-7 days in advance of the date they want to move in. Ideally, you will want to have the wall colors and decorating of the house in a mostly neutral color scheme. If you have customized the property to fit your tastes and you do not neutralize it, then you will be narrowing the market of potential residents only to those with decorating tastes like yours. That is not necessarily a bad thing; however, you would want to appeal to the largest cross section of the rental market place. The last thing you want to do is to let a gallon or two of paint stand in the way of finding the best possible resident in the shortest period at the best rental price possible. Those who elect to lease their principal residence are now making the family home into the family business. Running a family business requires making choices unemotionally that will give you the greatest benefit and market advantage possible as vacancy costs are extremely high compared to the cost to cure. Complete Pest Control for all interior pests such as fleas, roaches, ants, spiders, etc. We recommend a termite bond with a minimum of a once a year inspection by a state licensed pest control provider of your choosing. There are only two types of houses in Georgia – those that had termites and those about to get them! How will you market my property for lease? It has been said repeatedly “a picture is worth a thousand words.”However, the real analogy should be, “a great picture is worth a thousand words because a bad picture is worse than no picture at all.” Photography has certainly become an important part of our marketing. We will only use great photos of your property when posting on the internet. We offer much, much more than the 1990’s typical photo of the front of the house only for marketing and maintenance. Today, we utilize professional level Nikon D-SLR’s to document each room and all exterior views of your property. We use a super wide-angle lens to capture the most each room has to offer, and we also use Nikon’s Creative Lighting System to show your property in its best light. As members of the National Association of Photoshop Professionals (NAPP), we ethically edit your photos to look their very best and incorporate them into the listing, along with a virtual photo tour of your property set to music and posted on our YouTube.com channel. The internet has forever changed how we operate in the real estate industry. Gone are the days when we simply place a sign in the yard and place an ad in the classified ad section of the newspaper. In fact, it has been several years since we last placed an ad in any local newspaper. The leads are just not there anymore. While we still place a yard sign, we depend primarily on the internet for sources of potential residents. Our website generates over several hundred unique visitors a day. We post your property in detail with up to 25 photos along with a virtual tour to almost a hundred different rental listing websites. The properties will be viewed an average of over 125 a times a day over the average thirty-day period from all of these listing sites. When residents contact our office in person or by e-mail, they will receive a detailed description sheet with color photographs along with location maps. Our staff works diligently to follow all prospective tenant leads to take full advantage of the marketing in place. What technology is McCreary adopting to attract more prospects to view my property? McCreary Realty Management is committed to make our staff work smarter, not necessarily harder! True to this commitment, we invest heavily in our technology so that we can level the playing field and attract as many potential residents to view your property as we can. In addition to the McCreary Realty Management website, we distribute your property to almost a hundred different rental listing websites worldwide including Rentals.com; FMLS.com (1st Multiple Listing Service); REALTOR.com; CraigsList.com; Trulia; Zillow; Move.com; Homes.com; Hotpads.com; among dozens of others! Showings are now being coordinated through TenantTurner.com. All prospects are prescreened in a call, text or e-mail before being able to see your property. This results in qualified potential applicants viewing properties and cuts back on people “just looking”. We are excited to have "virtual flyers" available to all prospects who drive by your property and just see the sign. Standing beside our standard "For Lease" sign will be an additional sign displaying a message "For Details Send Text Message To: 88000; Message: "MRM(number)". Prospects will send the text message and receive a reply in less than 5 seconds. Within this message, any internet-enabled phone will be able to download a short flyer to see photos, a brief description of the property as well as the ability to send us a message or call the office while right in front of your house. We set up the demonstration virtual flyer with the code "MRMDEMO", so that you could try it for yourself. Give it a try – Text to 88000 with the message "MRMDEMO"! We stay abreast of all the latest industry trends and marketing methods so that we can reach the broadest market possible so that as many potential prospects will be able to find and see your property! Do you use Social Media to interact with Clients, Customers and the Public? McCreary Realty Management is active in social media with a very active presence on Facebook, Twitter, LinkedIn, Instagram, and YouTube! On YouTube, you will find that we will use all of the great photos we take of your property and create a slideshow/video of them set to music. We then upload the videos to our channel and the links are imbedded into the listing that is distributed to all of our partner websites. McCreary is the market leader in Metro Atlanta taking advantage of the complete suite of social media for your property! How do you screen potential tenants for my property? McCreary Realty Management complies with the provisions of all Federal Fair Housing laws and we will not discriminate against any applicant, occupant or resident of any property at any time based on race, creed, color, religion, national origin, handicap or familial status. Each potential resident will submit to our office a detailed application. This “snapshot” will tell a prospective tenant’s income, how stable his/her job/career may be, and his/her current & previous rental or housing history. Finally, we pull and review the tenant’s credit history, primarily to verify that all the tenants have told us about themselves is true and correct. 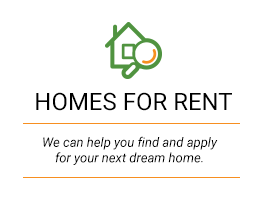 We require that persons have monthly income of at least three times the monthly rental amount, that they have honored all current and previous leases, and have paid in full and on time. As for their credit, we do not expect potential tenants to have purchaser quality credit. We love it when they do, but it is just not likely. We therefore expect there to be some issues with their credit, and we have limitations on what sort of credit we can and cannot work with. Sometimes an additional deposit will be required, and in other cases, we may have to deny tenants completely. How do you address the issue of pets in my property? If you are leasing a single-family home, especially one with a fenced back yard, it is almost a certainty that you will have potential residents with pets. As such, we have found that a “no pets” policy is extremely detrimental to finding a quality resident. You may lose as much as 75% or more of the potential target market for your home by not being willing to accept pets. Now just because we encourage you to consider pets, it does not mean that you have no limitations. With decades of experience with thousands of residents, most with pets, we have developed a common sense and market based pet policy that has a proven record of accomplishment of controlling pets and the potential for damages. We will require an additional refundable pet deposit and require that the pets be within the limits of our policy. We have added a new screening service just for pets … www.PetScreening.com! During the application process, prospective residents will be directed to this website and be required to complete an application on their pets or service/companion animals. Based upon their detailed screening questions and the prospects answers, we will gain greater insight on allowing their pets upon the property as well as the amounts of deposits needed to cover the potential liability. What about Security Deposits for my property? State law dictates to the industry how to handle security deposits. The deposit belongs to the resident and is legally their property throughout the term of the tenancy. The only opportunity we have to capture any of the deposit is in the thirty-days immediately after the tenancy has ended and then only for any unpaid sums or damages that are as state law describes "above and beyond normal wear and tear". State law does not allow any property owner to charge any residents any sum for anything that is considered just simple normal wear and tear. For example, that may mean that we cannot charge a former resident for any of the cost of painting the house to make it ready for the next resident. Normal Wear and Tear is best defined as "The inevitable physical decline of the condition of a property from time and usage. Normal wear-and-tear increases over the useful life of any property or asset. It results from normal usage by its occupants as well as from weather and other natural forces that surround it." We are committed to ensure that all residents honor all parts of the lease and that they return the property with no damages that would be "above and beyond normal wear and tear". If there are any maintenance issues or damages that are chargeable to the resident, we will deduct those sums from the deposit before returning any balance to them. What are the final tasks that should be taken care of at the property before the lease is signed? Once the applicants are approved, and before any lease is signed, there still are a few final tasks that must be completed in the make ready process. These include but are not limited to the final yard maintenance, lock rekeying, touch up clean, checking smoke detectors for proper operation, and making sure all owner possessions are removed from the property. What forms will you use in the lease closing for my property? We have a system for finalizing the leasing process that is unique to our area. We set an appointment with residents to come into our office, and we conduct a “lease closing” with them. It is very similar to the process you went through when you purchased the house. We utilize this time not only to just go over the lease, but we also use it as an orientation time to review all of the policies and procedures that they must abide to during their time with us. All monies due to begin leasing any property with McCreary must be paid in certified funds by cashier’s checks or money orders. Our insurance does not allow us to accept cash. Along with the lease, we will be taking care of the lead based paint disclosure, a smoke detector addendum, the payment policy, the procedures for maintenance of your property, a form to use when it is time to give their thirty-day notice, and the move-in inspection form. After the closing, we will be scanning and e-mailing you a copy of the signed lease. What are your policies on rent collections for my property? All rents are due on or before the first of the month, without exception. Further, regardless of holidays, weekends or acts of God, any rent received after 9 AM on the sixth of the month will incur a late fee. Mailing the payment does not constitute payment; we must receive it in our office in order for us to accept it as paid. 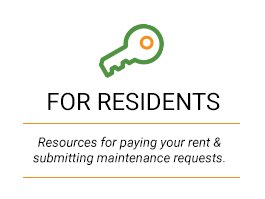 Further, for any rent not received before the first business day after the ninth of the month, there will be an additional late fee incurred by the resident as well as the initiation of the eviction process, referred in Georgia as a Dispossessory Procedures. This is a civil action in the State Court and Magistrate Courts in our area. All costs of this process are charged to the resident. State law does not allow for any property manager to directly file the Dispossessory with any court. An attorney must be used to file and prosecute the warrant. Using our considerable joint buying power, we have negotiated some of the industry’s lowest fees for an attorney who specializes in nothing but evictions! The court costs and attorney fees must be paid in advanced by the owner and are to be reimbursed by the resident when they pay the past due rent. The late fees are paid to the management agent as additional compensation for collecting past due rent. Our management fee is priced for you based upon the resident paying the rent to us at our office and on time. If after move out, any past due rent or damages result in funds owed from the tenant to the property owner after accounting for all deposits, then McCreary will place an open rental collection account on the credit files of all responsible parties to the lease. Doing so will make it more difficult for them to lease property from another professional management firm or to obtain a mortgage for buying a house. McCreary is not a post-occupancy collection agency. As such, we utilize the services of National Credit Services to post the collection account and pursue the amounts due the property owners. NCS works exclusively with the residential housing industry, primarily in apartments and are located in Metro-Atlanta. They charge a very reasonable fee only on any amounts they collect. In our decades of experience, they have collected more from past tenants in the last 3 years than all of the previous years combined! What will you do to increase the likelihood of the tenant renewing the lease for another term? Another lesson learned from decades of being in this business is that for us, resident retention begins with our very first contact with them. We reinforce this regularly with our staff. While you are legally our client and we do what is in your best interests, we must have excellent customer service to our joint customer, the tenant. For without that tenant, neither of us could be in this business. Therefore, we make sure we respond quickly to residents’ questions, concerns and requests for maintenance. Our swift actions with maintenance during the tenancy benefit you two-fold … not only to maintain the property at a reasonable level, but also to keep the residents satisfied during their tenancy. What do I need to know about maintenance of my property? The management agreement sets the parameters in which we can operate on your behalf. Since you are the owner of the property, you have a legal responsibility under state law to maintain the house in good condition at your expense. You cannot expect the resident to pay for repairs that are not their fault. Owners preauthorize us to perform up to $500.00 of maintenance on the property without express consent. Anytime the cost per repair or sequence of repairs exceeds that amount, we must secure your permission. That is why we need to maintain your most current contact information. In the case of an emergency, we will use every means available to us to contact you. If we are unable to, for whatever reason, then we will only perform maintenance to the extent that is required to protect life and/or the property. If the tenant does damage the property or in some way incurs costs for service at the property that are not your responsibility, then we will charge the resident the full costs possible under state law. One of our issues with maintenance was scheduling and communication between the parties. To help improve that process, we have added a brand new resource for managing maintenance called www.PropertyMeld.com! Through this service, we will be better able to manage the communication between tenants, vendors, management and even owners in real time using e-mail and text messaging. Residents can contact us during office hours and through our after-hours emergency voice mail system that we maintain 24 hours a day/seven days a week. Our afterhours service, www.SuperTenders.com has been an incredible addition and benefit for our residents and staff. They answer the emergency line live during the hours we are closed (nights and weekends) and communicate with property mangers via e-mail, phone and text messaging to make sure that only true emergencies are dispatched afterhours and those that are true emergencies are promptly addressed to minimize damage to the property. How often will you be inspecting my property after the lease is signed? Residents who lease single-family homes are generally looking for an experience that emulates home ownership, without all the responsibilities and long-term financial obligations. Many residents have lived in apartments previously, and are weary of the constant monthly intrusions into their home for inspections, and scheduled routine maintenance. 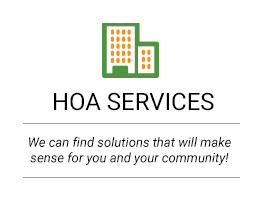 We recognize the need for vigilance to make sure your property is being properly cared for and balancing that with the market concerns for less disruption of the residents’ homes. We manage so many properties in our service area that we are able to drive by the exterior multiple times during the year. If we see any issues that cause us concern, we will then schedule an inspection as soon as possible. In addition, the contractors we use to perform maintenance on the house will report back to us any issues that we should check into. What is the Annual Property Review? In the past, McCreary used to have their agents perform a Property Review once a year. This review was limited to viewing how the residents were caring for the property and looking for obvious deferred maintenance issues like roof leak, exterior painting and such. We discovered that there were many things that our agents were not trained or equipped to look for while on the property. As such, we saw a need for a more comprehensive Property Review for our Owners, but not as extensive or costly as a full blown Home Inspection. McCreary has partnered with OnSight PROS to perform the Annual Property Review. We consider this Review as a Home Inspection “Lite”. They produce a 20-40 page report that will include dozens of photos and comments on what they observe at your property and its current condition including but not limited to: Property Code Violations, Insurance Company Risks, Maintenance Issues (Including A/C Filter inspection and changing, if needed), Hazardous Issues, HOA Violations, Unauthorized Pets and, Illegal Activity. An important service they also perform is to check all Smoke Detectors in the property for proper operation with canned smoke and verify age of the detector. Smoke Detectors are considered by the industry unsafe for use if they are over 10 years old. Click Here to view a sample of the report. We are sure you will agree with us that it well worth the small added cost to you for this service! How do I get the rent and when will you send me statements & receipts for maintenance? The resident pays us the rent every month sometime between the first and sixth of the month. Most of these payments are by personal check. Since we deposit this check into an escrow account, we have to insure that the funds are present to reduce the possibility of bad checks. We also understand your need to get your money in a timely manner. Depending on the month, weekends and bank holidays, we will be either initiating a direct deposit into your account or cutting a check to you on or about the 10th of every month. Sometimes it can be as early as the 10th or as late as the 13th. The Federal Reserve rules state that we must allow two days for direct deposits to be credited into your account. If we initiate the direct deposit on the 11th, you should see it in your account two banking days later, on or after the 13th, depending on how the weekends and holidays fall. Paper checks are placed in the USPS mail with first class postage. It should take between 2-4 days for the majority of the continental US to receive first-class mail from our office. Our firm uses the latest version of Property Boss software to handle our extensive needs for database and financial management. 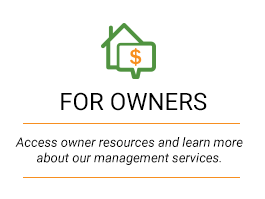 We will post your monthly statement online in the company website secured Owner Portal, one operating statement per month, showing income minus expenses equaling cash flow. Additionally, we will scan and upload all invoices/receipts for all maintenance coordinated by our firm. Your monthly statements are posted online the same time the direct deposit is initiated. For those that chose USPS mail, you will also receive a monthly operating statement once a month and it will include the originals of the invoices/statements. Your monthly statements are placed in the mail along with your proceeds check.